Bianca Ranson is the founder and director of Potiki Adventures. In 2003 Bianca came up with the concept of creating a company offering tours and outdoor adventures within the natural environment from a Maori perspective. As a Maori woman Bianca did not want to compromise her beliefs and values when going to work, so starting Potiki Adventures was a way to incorporate these into her workplace. Potiki Adventures now offers employment to people in an environment that celebrates being Maori and living and working by Maori values, customs and traditions. 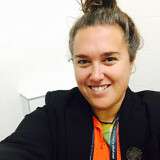 Bianca has a passion for working with Maori young people as well as international visitors to Aotearoa by engaging them in the outdoor environment and Maori arts & culture. SUCCESSFUL BUSINESSWOMAN: Complete with her award, new van and a recently built new office outside her Surfdale home, Bianca Ranson is ready to rock Potiki Adventures to even greater heights. Bianca Ranson is looking forward to another successful year after running away with a top award. 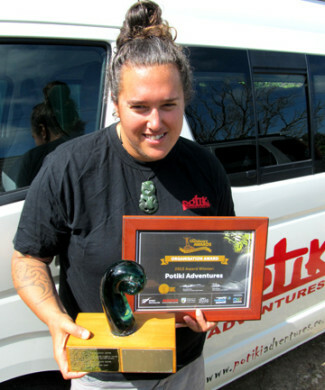 Her business, Potiki Adventures, is the first outdoor adventure tourism company based solely on Maori culture to win the New Zealand Outdoor Awards 2014. The award is presented annually and was the climax of the week-long World Outdoors Summit in November at the Energy Events Centre, Rotorua. It is attended by leading people in the outdoors tourism industry from New Zealand and abroad.